The prints attributed to Johannes Teyler (Nijmegen 1648-c.1709) were made from copper plates inked in up to 10 colours in the so-called à la poupée manner. They brought intaglio colour printing into full bloom, allowing for the first time glowing yellows, burning reds, vivid oranges, lush greens, cool turquoise blues, deep purples, and luminous pinks. He also transformed the print market; he was not their designer, but their project manager and the financier of the workshop that produced him (active c.1685 – 1697). The oeuvre of the Teyler workshop comprises classical figures and mythological scenes, views of towns and landscapes in Holland, Germany and Italy, birds, flowers, insects and animals, and plans of military encampments and marching orders. The corpus comprises over 400 unique prints compiled in parts I and II of these New Hollstein volumes. 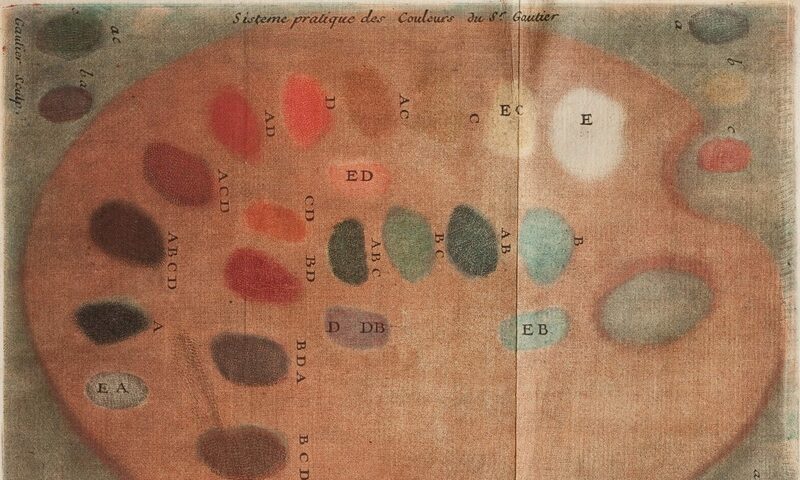 Teyler’s method of colour printing was adopted by a number of Amsterdam publishers from 1695-c.1710, of which some 600 are compiled in parts III and IV, including the à la poupée-inked illustrations in Cornelis de Bruijn’s French translation of his Travels (1700). These New Hollstein volumes provide an up-to-date comprehensive catalogue which will provide an invaluable aid to research, including a compilation in full colour of over 1,000 prints attributed to and after his workshop.